Their idols are silver and gold, the work of human hands. They have mouths, but cannot speak; eyes have they, but cannot see; They have ears, but cannot hear; noses have they, but cannot smell; They have hands, but cannot feel; feet have they, but cannot walk; not a whisper do they make from their throats. Those who make them shall become like them and so will all who put their trust in them. But you, Israel, put your trust in the Lord; he is their help and their shield. Everyone who falls on that stone will be broken to pieces; and it will crush anyone on whom it falls.’ When the scribes and chief priests realized that he had told this parable against them, they wanted to lay hands on him at that very hour, but they feared the people. Almighty God, send down upon your Church the riches of your Spirit, and kindle in all who minister the gospel your countless gifts of grace; through Jesus Christ our Lord. Amen. and salvation all the day long, for I know no end of the telling. I will begin with the mighty works of the Lord God; I will recall your righteousness, yours alone. O God, you have taught me since I was young, and to this day I tell of your wonderful works. Forsake me not, O God, when I am old and grey-headed, till I make known your deeds to the next generation and your power to all that are to come. Therefore will I praise you upon the harp for your faithfulness, O my God; I will sing to you with the lyre, O Holy One of Israel. My lips will sing out as I play to you, and so will my soul, which you have redeemed. My tongue also will tell of your righteousness all the day long, for they shall be shamed and disgraced who sought to do me evil. Give thanks to the Lord, for he is gracious, for his faithfulness endures for ever. We have sinned like our forebears; we have done wrong and dealt wickedly. In Egypt they did not consider your wonders, nor remember the abundance of your faithful love; they rebelled against the Most High at the Red Sea. But he saved them for his name’s sake, that he might make his power to be known. He rebuked the Red Sea and it was dried up; so he led them through the deep as through the wilderness. He saved them from the adversary’s hand and redeemed them from the hand of the enemy. As for those that troubled them, the waters overwhelmed them; there was not one of them left. Then they believed his words and sang aloud his praise. But soon they forgot his deeds and would not wait for his counsel. A craving seized them in the wilderness, and they put God to the test in the desert. He gave them their desire, but sent a wasting sickness among them. They grew jealous of Moses in the camp and of Aaron, the holy one of the Lord. So the earth opened and swallowed up Dathan and covered the company of Abiram. A fire was kindled in their company; the flame burnt up the wicked. They made a calf at Horeb and worshipped the molten image; Thus they exchanged their glory for the image of an ox that feeds on hay. They forgot God their saviour, who had done such great things in Egypt, Wonderful deeds in the land of Ham and fearful things at the Red Sea. So he would have destroyed them, had not Moses his chosen stood before him in the breach, to turn away his wrath from consuming them. Then they scorned the Promised Land and would not believe his word, But murmured in their tents and would not heed the voice of the Lord. So he lifted his hand against them and swore to overthrow them in the wilderness, To disperse their descendants among the nations, and to scatter them throughout the lands. They joined themselves to the Baal of Peor and ate sacrifices offered to the dead. They provoked him to anger with their evil deeds and a plague broke out among them. Then Phinehas stood up and interceded and so the plague was stayed. This was counted to him for righteousness throughout all generations for ever. They angered him also at the waters of Meribah, so that Moses suffered for their sake; For they so embittered his spirit that he spoke rash words with his lips. They did not destroy the peoples as the Lord had commanded them. They mingled with the nations and learned to follow their ways, So that they worshipped their idols, which became to them a snare. Their own sons and daughters they sacrificed to evil spirits. They shed innocent blood, the blood of their sons and daughters, Which they offered to the idols of Canaan, and the land was defiled with blood. Thus were they polluted by their actions, and in their wanton deeds went whoring after other gods. Therefore was the wrath of the Lord kindled against his people, and he abhorred his inheritance. He gave them over to the hand of the nations, and those who hated them ruled over them. So their enemies oppressed them and put them in subjection under their hand. Many a time did he deliver them, but they rebelled through their own devices and were brought down through their wickedness. Nevertheless, he saw their adversity, when he heard their lamentation. He remembered his covenant with them and relented according to the greatness of his faithful love. He made them also to be pitied by all who had taken them captive. Save us, O Lord our God, and gather us from among the nations, that we may give thanks to your holy name and glory in your praise. Blessed be the Lord, the God of Israel, from everlasting and to everlasting; and let all the people say, Amen. The Lord is great in Zion and high above all peoples. Let them praise your name, which is great and awesome; the Lord our God is holy. Mighty king, who loves justice, you have established equity; you have executed justice and righteousness in Jacob. Exalt the Lord our God; bow down before his footstool, for he is holy. Moses and Aaron among his priests and Samuel among those who call upon his name, they called upon the Lord and he answered them. He spoke to them out of the pillar of cloud; they kept his testimonies and the law that he gave them. You answered them, O Lord our God; you were a God who forgave them and pardoned them for their offences. I will sing of faithfulness and justice; to you, O Lord, will I sing. Let me be wise in the way that is perfect: when will you come to me? I will not set before my eyes a counsel that is evil. I abhor the deeds of unfaithfulness; they shall not cling to me. A crooked heart shall depart from me; I will not know a wicked person. One who slanders a neighbour in secret I will quickly put to silence. Haughty eyes and an arrogant heart I will not endure. My eyes are upon the faithful in the land, that they may dwell with me. One who walks in the way that is pure shall be my servant. There shall not dwell in my house one that practises deceit. One who utters falsehood shall not continue in my sight. Morning by morning will I put to silence all the wicked in the land, To cut off from the city of the Lord all those who practise evil. Today’s readings call us to think about endings and beginnings – a familiar theme in the light of the referendum results this week and our remembering the beginning of the Battle of the Somme (141 days of conflict which took more lives than any other battle in the world’s history) at the end of the coming week perhaps? Endings - As we find Jesus setting out on His final journey to Jerusalem. He’s told his followers what to expect – how he is to suffer and die – and determines to head into that reality and an end which heralds an amazing, and eternal, beginning. This is an act of commitment and courage, and act that makes real the words of commitment to God, the Father. As we take our steps in the worlds, this too is our calling – to make real the words that we issue about our calling with God, even if it means laying down our lives. So off they go, passing through a Samaritan village on the way. Jews and Samaritans don’t mix, they have ‘history’, and the welcome they receive cause upset amongst the disciples – no shock here as they were probably already tense and edgy, they were following Jesus to His death (and possibly theirs too). So they lash out – just like us when we are tense – “Let's call down fire on them,” they say! But Jesus, rather than agree, uses the moment to bring some clarity about following Him to those who have already committed to do that. To move on and accept that things might be difficult, possessions and property a thing of the past as the move into that great unknown, for who truly can predict the future or the time of their ending other than the Lord? We need to plough straight furrows with our lives – having been to a ploughing contest the difference between a straight line and a wobbly one was obvious, but the implication of this, being that the straight line yielded more produce, was news to me. How straight is the line we walk today? Are we a voice of reason, love and service to those around us or the embodiment of what it means to be self-serving and men-spirited? As we look to lose the identity that says ‘EU citizen’ and change it – what will it be that we bear? British citizen or citizen of heaven, for surely the latter is, for us, (or should be) the reality for being in and not of the world we are surely ‘exiles and aliens’ in this world (1Pet 2.11). 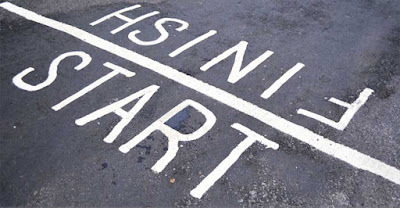 Beginnings (and endings) - And as we consider Elisha’s call – something very different from the other calls in the Old Testament as there;s no burning bush, fanfare, whispers in the night, vision or God pop in and nudge him. It’s just so very ‘ordinary’: Elijah’s offering him a job; the opportunity to stop ploughing and start sowing the word of God! Elisha’s is to be a disciple, a servant, of Elijah. Something we call a ‘type’ in theological; circles for here we find an example for us to take up and make our own. We are called to leave behind what we are and what we know and to follow Jesus in exactly the same, often equally unspectacular way – and later the time come when Elisha takes on Elijah’s role (I like the term ‘takes on his mantle – meaning puts on his uniform if you like’) when Elijah gets taken up into heaven. of intent and opportunity! A true burning of his bridges so that the only way open it him is ‘forward’. Our call to becoming disciples is one of turning from our sins and moving forward in the footsteps of the master. For Elisha it was Elijah, for us it is Jesus – and there can be no turning back – and as we do this we break free from the chains and demands of this world into the freedom Paul speaks of in out Galatians passage; free from the chains of sin and the snares of this world As we live in the power of God’s Holy Spirit.. Nothing the world has can deny or overcome this – by having these the world in which we live, and yet are not of, will be changed and our endings and beginnings made bright, right and enabling. The Lord said to him, “Go back the way you came. Go to the Desert of Damascus. When you get there, anoint Hazael as king over Aram. Also anoint Jehu as king over Israel. He is the son of Nimshi. And anoint Elisha from Abel Meholah as the next prophet after you. He is the son of Shaphat. Jehu will put to death anyone who escapes Hazael’s sword. And Elisha will put to death anyone who escapes Jehu’s sword. So Elisha left him and went back. He got his two oxen and killed them. He burned the plough to cook the meat. He gave it to the people, and they ate it. Then he started to follow Elijah. He became Elijah’s servant. Christ has set us free to enjoy our freedom. So remain strong in the faith. Don’t let the chains of slavery hold you again. My brothers and sisters, you were chosen to be free. But don’t use your freedom as an excuse to live under the power of sin. Instead, serve one another in love. The whole law is fulfilled by obeying this one command. “Love your neighbor as you love yourself.” If you say or do things that harm one another, watch out! You could end up destroying one another. So I say, live by the Holy Spirit’s power. Then you will not do what your desires controlled by sin want you to do. The desires controlled by sin do not want what the Spirit delights in. And the Spirit does not want what the desires controlled by sin delight in. The two are at war with each other. That’s why you are not supposed to do whatever you want. But if you are led by the Spirit, you are not under the authority of the law. The result of sin’s control in our lives is clear. It includes sexual sins, impure acts and wild living. It includes worshiping statues of gods and worshiping evil powers. It also includes hatred and fighting, jealousy and fits of anger. Sinful desire is interested only in getting ahead. It stirs up trouble. It separates people into their own little groups. It wants what others have. It gets drunk and takes part in wild parties. It does many things of that kind. I warn you now as I did before. People who live like this will not receive God’s kingdom. But the fruit the Holy Spirit produces is love, joy and peace. It is being patient, kind and good. It is being faithful and gentle and having control of oneself. There is no law against things of that kind. Those who belong to Christ Jesus have nailed their sinful desires to his cross. They don’t want these things anymore. Since we live by the Spirit, let us keep in step with the Spirit. The time grew near for Jesus to be taken up to heaven. So he made up his mind to go to Jerusalem. He sent messengers on ahead. They went into a Samaritan village to get things ready for him. But the people there did not welcome Jesus. That was because he was heading for Jerusalem. The disciples James and John saw this. They asked, “Lord, do you want us to call down fire from heaven to destroy them?” But Jesus turned and commanded them not to do it. Then Jesus and his disciples went on to another village. Jesus replied, “Suppose someone starts to plough and then looks back. That person is not fit for service in God’s kingdom. And 'Good Riddance' from them? As we all know by know, the people of the United Kingdom have, albeit narrowly, voted to leave the European Union. Some will be cheering - others will be fearing. Some will see this as an opportunity to regain sovereignty and put the 'Great' back into Britain whilst others will see this as us condemning ourselves to becoming a small minded nation on an even smaller offshore piece of land outside the rest of the world. Much like the peasant's revolt of 1381, this was as much a revolt against those who govern and the taxation and nation's spending as it was about the other much proclaimed issues - although that said, the majority of the 'Leave' voices brought the issue back to immigration (more on that shortly though). The Peasants Revolt was also about and end to serfdom - what I was taught of as 'unify' labour - whilst this was, for many, about 'free labour'! So here we are, about to go it alone and this for me means that we should, immediately, look to Article 50 of the Lisbon Treaty and start the two year exit process rolling. Many people are calling on us to hold fire with this because the effect it will have on us nation but it seems to me that this newly recovered sovereignty and national identity, as with everywhere in the world where people have fought to become free, comes at a price. This price, thankfully, is not paid in blood or lives (unless you consider the assassination of an MP to count - and I do) but in cold hard cash. Freedom is never cheap and we will have to grin and bear the rises in the cost of living, the fall in our house prices and the jobs that are lost as the price we are all willing to pay for our breaking free from the bonds of European membership. 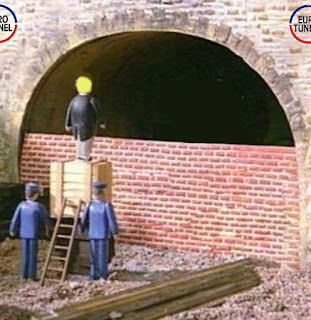 "Britons decided yesterday that they want to leave the European Union, so it doesn't make any sense to wait until October to try to negotiate the terms of their departure - I would like to get started immediately." You see, Europe would like us to be gone and whilst what some exit politicians are asking for is akin to a divorces settlement where one party retains the right to have meals cooked for them, their washing done and conjugal rights to continue - the other is looking to distance themselves from their estranged partner as quickly as possible, and despite the well meant words from family gained through marriage when divorce comes, the relationship are rarely continued and when they do, never the same! Those who preached exit are now telling us that migration into the UK will continue - it has to, that's how the rest of the world lives these day - and that the money saved might not be what was first preached to be - that we will have to abide by EU laws if we want to trade with them and more besides. So perhaps our exit is not going to be the paradise it was billed to be - but the trigger has been pulled and the bullet has left the chamber, there's no going back and the challenge for us is to work out how we can regroup and reform our national identity and that takes public will and solid and intelligent government. The key is for us to become a United Kingdom (talk of referenda regarding the Union from Northern Ireland and Scotland aren't helping this) and to look at the positives that being British bring. We need to be open and honest about our views and seek a middle way - something the Church of England excels in - if that happens then this will indeed be something quite positive coming from the result. I think we need a new government, not a new Conservative Prime Minister, because the government is looking at areas and actions never spoken of in a manifesto nor voted of at the last election. This is time for a new leadership across the board in the house of Commons. One of the hopes of those who preached on the exit side of the debate was that we would return to our national roots and this, and of course I would say this, means a return to the biblical values and standards that shaped us and a putting aside of self and selfish ambition. We need to establish a nation where humility, not the nationalism that brought about a global conflict, is the hallmark. National pride not nationalism being the bedrock upon which we look to exhibit mercy and crave for justice as that which we value and live by. We need to continue to welcome the oppressed and marginalised, to act to support those in other lands who face genocide and oppression, to stand with our neighbouring nations to work together for peace and freedom for all. And oddly - if we do, it won't look much different from that we've just voted to leave! Going to be a very interesting time - and when the going gets tough (and I'm sure it will) look to the words and example of Jesus, the Christ, rather than the self-serving needs of our fallen race. No man is an island - even when he lives on one! Sing to the Lord a new song; sing to the Lord, all the earth. Sing to the Lord and bless his name; tell out his salvation from day to day. Declare his glory among the nations and his wonders among all peoples. For great is the Lord and greatly to be praised; he is more to be feared than all gods. For all the gods of the nations are but idols; it is the Lord who made the heavens. Honour and majesty are before him; power and splendour are in his sanctuary. Ascribe to the Lord, you families of the peoples; ascribe to the Lord honour and strength. Ascribe to the Lord the honour due to his name; bring offerings and come into his courts. O worship the Lord in the beauty of holiness; let the whole earth tremble before him. Tell it out among the nations that the Lord is king. He has made the world so firm that it cannot be moved; he will judge the peoples with equity. Let the heavens rejoice and let the earth be glad; let the sea thunder and all that is in it; Let the fields be joyful and all that is in them; let all the trees of the wood shout for joy before the Lord. Gracious Father, by the obedience of Jesus you brought salvation to our wayward world: draw us into harmony with your will, that we may find all things restored. Amen. For a thousand years in your sight are but as yesterday, which passes like a watch in the night. You sweep them away like a dream; they fade away suddenly like the grass. In the morning it is green and flourishes; in the evening it is dried up and withered. For we consume away in your displeasure; we are afraid at your wrathful indignation. You have set our misdeeds before you and our secret sins in the light of your countenance. When you are angry, all our days are gone; our years come to an end like a sigh. Have compassion on your servants. 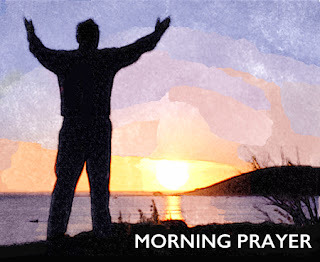 Satisfy us with your loving-kindness in the morning; that we may rejoice and be glad all our days. Give us gladness for the days you have afflicted us, and for the years in which we have seen adversity. Show your servants your works, and let your glory be over their children. May the gracious favour of the Lord our God be upon us; prosper our handiwork; O prosper the work of our hands. Your thoughts are very deep. The senseless do not know, nor do fools understand, That though the wicked sprout like grass and all the workers of iniquity flourish, It is only to be destroyed for ever; but you, O Lord, shall be exalted for evermore. For lo, your enemies, O Lord, lo, your enemies shall perish, and all the workers of iniquity shall be scattered. But my horn you have exalted like the horns of wild oxen; I am anointed with fresh oil. My eyes will look down on my foes; my ears shall hear the ruin of the evildoers who rise up against me.The righteous shall flourish like a palm tree, and shall spread abroad like a cedar of Lebanon. Such as are planted in the house of the Lord shall flourish in the courts of our God. They shall still bear fruit in old age; they shall be vigorous and in full leaf; That they may show that the Lord is true; he is my rock, and there is no unrighteousness in him.